One of the greatest NFL football games of all time. The Patriots came back from a 28-9 4th quarter deficit to defeat the Atlanta Falcons in Super Bowl 51. 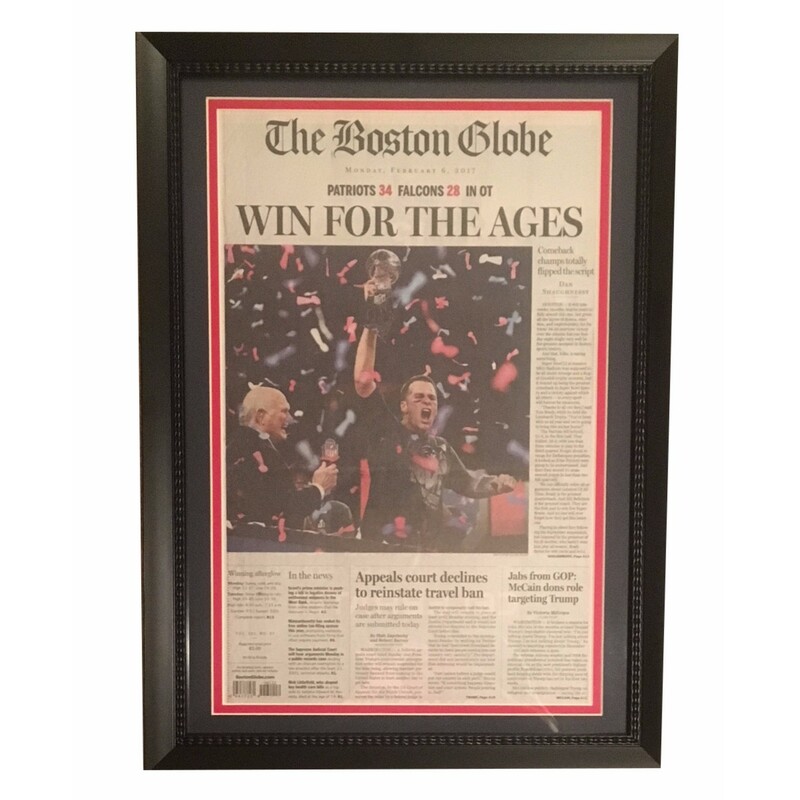 Celebrate one of the Patriots and Tom Brady's most iconic wins with this framed front page of the Boston Globe. 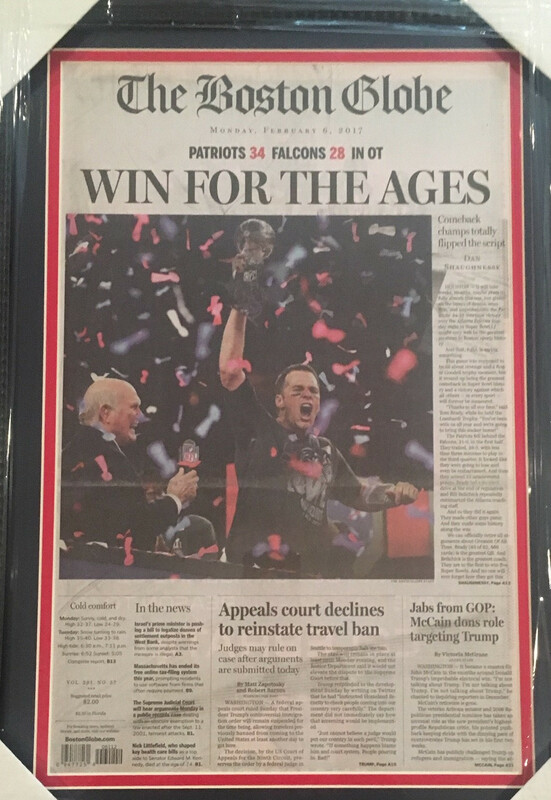 Newspaper is dated 2/6/17, the day after the Super Bowl win. Original front page. Black frame measures approximately 16x22. Item is not autographed. THESE ARE ORIGINAL NEWSPAPER FRONT PAGES. THERE WILL BE STRAY INK MARKS FROM THE PRINTING. IF YOU ARE LOOKING FOR A PERFECT IMAGE, LIKE A PHOTO, THIS ITEM IS NOT FOR YOU. NEWSPAPER PRINTING IS MUCH DIFFERENT THAN PRINTING IMAGES, BUT IT IS WHAT MAKES THEM UNIQUE. PLEASE REVIEW ALL IMAGES SO YOU KNOW WHAT YOU ARE GETTING. 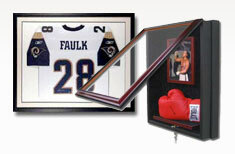 Display cases make a great gift idea!